What I am about to share with you is a guide to medical device regulatory classification. 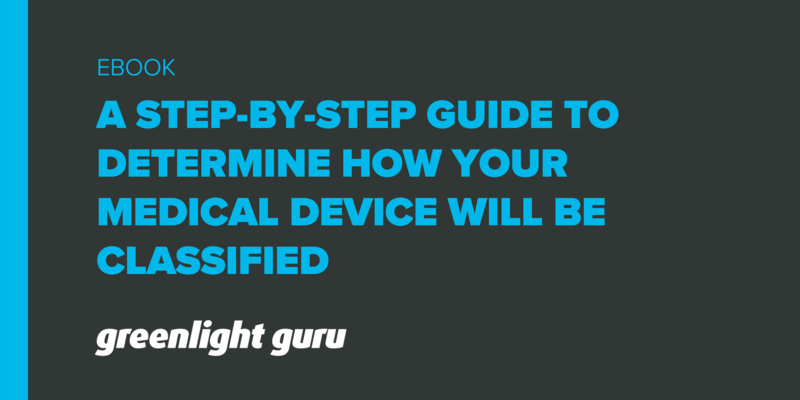 In this guide, I will provide you with a step-by-step approach for determining how your medical device will be classified by U.S. FDA, European Commission, and Health Canada.Getting a basic understanding of regulatory product classification will be invaluable to your efforts to bring new products to market. Basically, every medical device is regulated in some way by regulatory agencies, such as FDA, European Commission, and Health Canada. These regulatory agencies have defined a bunch of rules and regulations (or “laws”) regarding medical devices. The rules that apply to your medical device depend on how your product is classified by the regulatory agencies. Each regulatory agency has defined several different classifications for medical devices. The classifications are, for the most part or as a general rule, related to the perceived risk of the product type. Yes, I can imagine what you might be thinking. Europe another way yet still. To some extent, you are correct. And fortunately, too, there are quite a bit of similarities when it comes to medical device classification. When you start to explore how your medical device product idea will be regulated, it can be a little discouraging and overwhelming. Why Does Regulatory Classification Even Matter? Product classification will determine what you have to do BEFORE you can sell your product. Product classification will help you establish what is required during product development and Design Controls. Product classification is an important component in determining how much it will cost to bring your product to market and give you some idea of how long it will take. Because of this, I’m going to provide you with a little bit of guidance to better understand what to do and how to do it. Note, the information I’m about to provide is intended to help educate you on medical device regulatory classification and what is required for your medical device. This following content is not a comprehensive guide to regulatory submissions, yet should give you some basic guidance and direction on identifying how to establish path to market. I’ll stick to the “big 3”: U.S., Europe, and Canada. 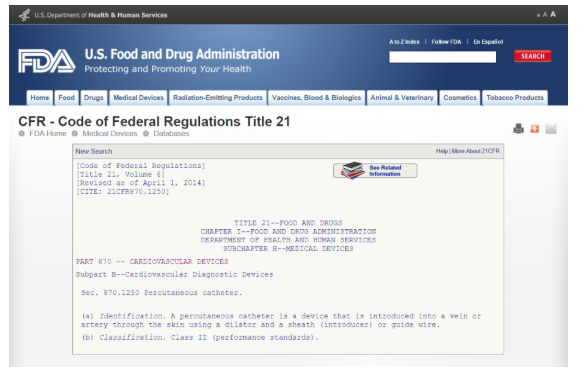 Medical Device Regulatory Classification in the U.S. 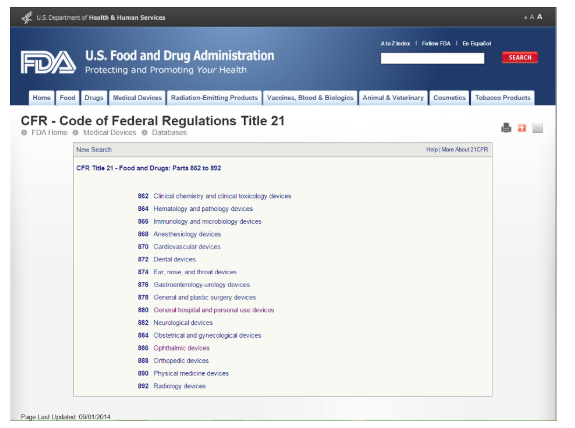 In the United States, medical devices are regulated by Food & Drug Administration, or FDA. The specific branch within FDA is Center for Devices & Radiological Health (CDRH). The mission of CDRH is to protect and promote public health. In other words, ensure medical devices are safe. In the U.S., medical devices are either Class I, Class II, or Class III. The FDA CDRH classification is based primarily on risk the medical device poses. Class I are generally deemed low risk and Class III highest risk. The types of controls required is dependent on your product’s classification. Classification is directly related to intended use and indications for use. The distinction between this terms is a bit confusing. Keep this in mind. The intended use and indications for use of your medical device express the reason why you had this idea for a new medical device. Once you define intended use and indications for use, now you need to find the possible regulations and product codes. Tracking down regulatory classification for your product via FDA takes a little bit of time and perseverance. Without boring you with too many details, FDA has established several general categories based on the medical specialty: CFR 21 Parts 862 to 892. This can be frustrating and overwhelming. When you find a regulation that appears to be a possible fit, you can click on the link and get more details to make a determination. The details provided give me some idea if my intended use and indications for use align with this specific regulation. I also discover the FDA device classification. In this example, I learn that my product is Class II (performance standards), which means I will need to submit a 510(k) to FDA prior to getting market clearance. I share more about types of FDA submissions further on in this guide. Finding the applicable regulation for you medical device and classification is the first part. Now you need to find the applicable product codes. 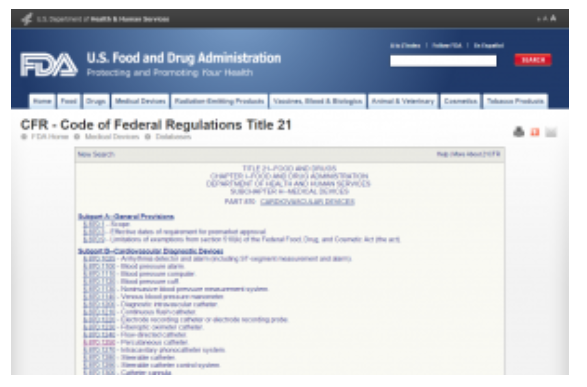 Go to the FDA Product Classification Database and type in the regulations number you found. If you find more than one possibility, then you will need to repeat this process for each. When you click “search”, you will get a list of possible product codes. You can then review each individual code to determine the best option for your product by clicking on each code. Knowing the applicable regulation and product code (as described above) is necessary for you to determine the classification of your medical device. Once you have this information, you will now be able to determine the “path” to get your product registered with FDA. Let me boil it down to this. If you find your product is “exempt,” then only general controls apply and no formal FDA submission is required. You do, however, need to register your establishment with FDA and then list the product. If you find your product requires special controls, this means you will have to prepare a 510(k) submission to FDA and receive clearance before going to market. And then need to register your establishment and list the product. If you find your product requires premarket approval, this means you will have to follow the FDA PMA process to receive approval before going to market. The regulations for a medical device in EU are established through the Medical Device Directives by the European Commission. The path to market in Europe is to obtain a CE mark. 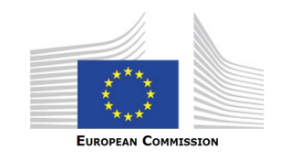 To figure out what is required to CE mark your medical device, you first must determine the EU classification per Annex IX in the Medical Device Directive (93/42/EEC as modified by 2007/47/EC). Fortunately, there is a pretty easy to follow guidance document to determine medical device classification in EU. For each of the broad categories, there are certain rules which apply. These categories coupled with the duration for use make determining classification fairly straightforward. Let’s consider the percutaneous catheter example used earlier when discussing FDA classification. I determine my medical device fits into the “invasive” category, narrowing my search down to rules 5, 6, 7, and 8. I narrow the rules down further because my medical device is short-term because it is used for a period greater than 24 hours and less than 30 days. I determine rule 7 is the best fit. My percutaneous catheter will administer medicines, making my product a Class IIb medical device in Europe. EU has a similar product classification system as the U.S. In all cases, a CE mark technical file is required. I suggest following a guidance document to help you with putting the technical file together. All EU medical device classes require working with a Notified Body except for Class I. You will also need to work with an Authorized Representative to take care of product registration in Europe. Here are 11 Top Questions on EC Authorized Representative. The medical devices regulations in Canada are established by the Government of Canada and regulated by Health Canada. Like the U.S. and EU, you first must determine the medical device classification for Canada. Like EU, Canada has a pretty easy to follow guidance document and it’s very similar to Europe..
I’ll use the percutaneous catheter example again. 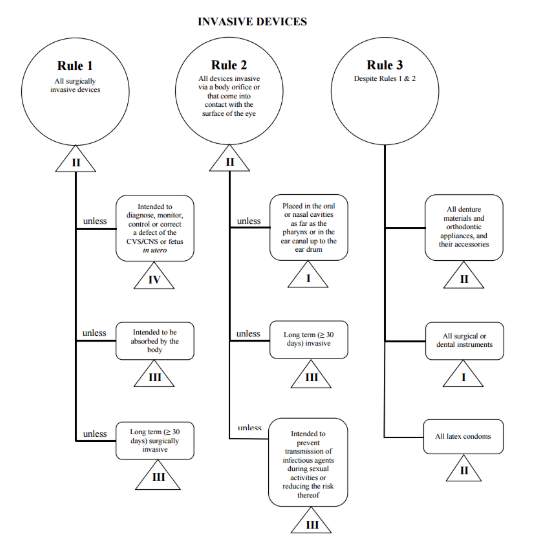 I determine my medical device fits into the “invasive” category, narrowing my search down to rules 1, 2, and 3. After reviewing the options, I determine that rule 1 applies. Based on my intended use, my medical device is Class II in Canada. 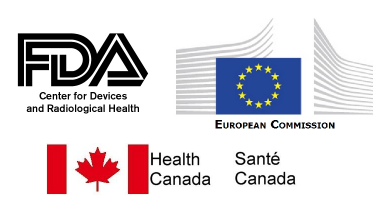 Medical device product classification in Canada is similar but different from EU and U.S. Prior to going to market in Canada, you must apply for a medical device license. A license is not required for Class I medical devices. This Health Canada guidance walks you through the process. Class III and Class IV medical devices also require summary technical documentation (STED). You will also need to obtain ISO 13485 certification with CMDCAS (Canadian Medical Device Conformity Assessment System).